Genuine Toyota Battery, Everyday Low Price! *See dealer for details. Cannot combine with any other offer. Labor not included. Must present coupon at time of service write up. Cannot be combined with any other offer. See dealer for details. Must present coupon at time of service write up. Not valid with other promotions or offers. See dealer for details. Restrictions apply. Must present offer at time of service write up. Performing your Toyota oil change at factory recommended maintenance intervals is a great way to keep your Toyota running great and maintain its value. At Toyota of Gladstone we use Genuine Toyota Motor Oil formulated to help protect against corrosion, prevent foaming and maintain proper application of oil on cylinder walls. Need an oil change for your Toyota? Our Toyota-trained technicians right here in Gladstone at Toyota of Gladstone can quickly perform this service for you. 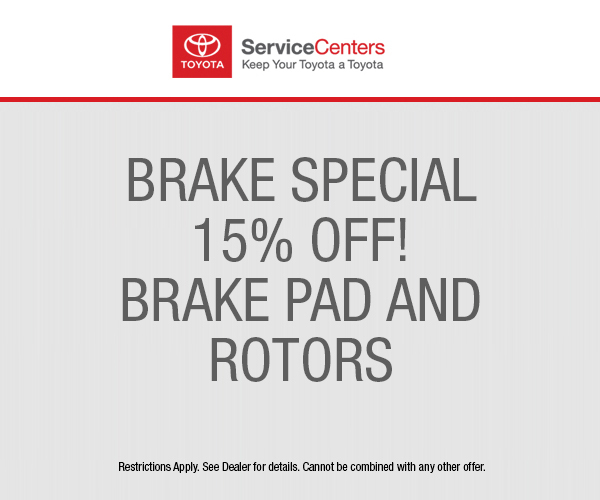 Schedule an appointment with Toyota of Gladstone.